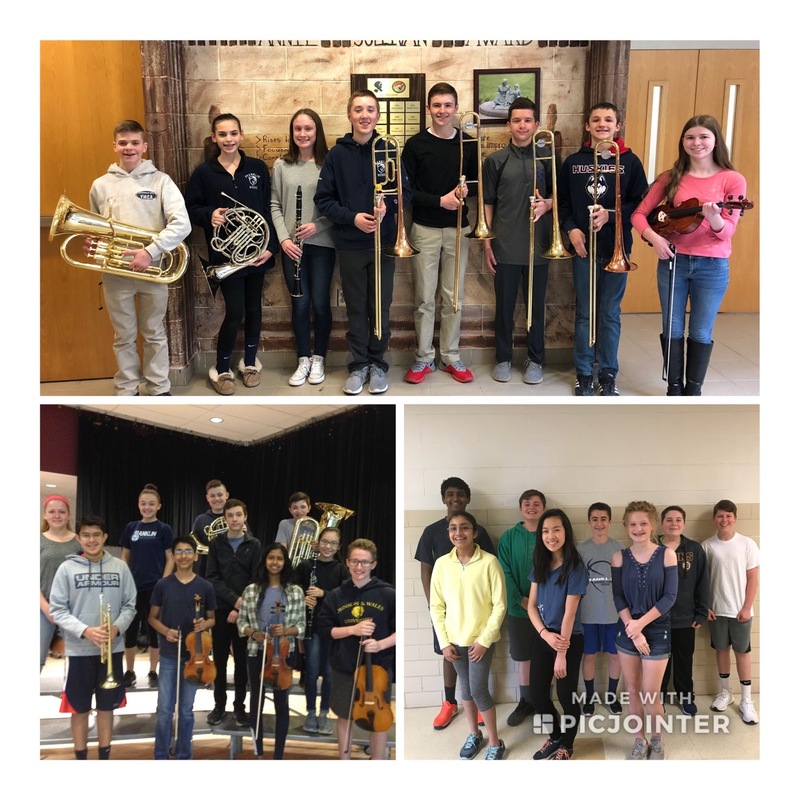 Twenty seven members of the Franklin Middle Schools music program auditioned and were accepted into the 2018 Massachusetts Jr. Central District Honor Ensembles. Franklin students represented Annie Sullivan Middle School, Horace Mann Middle School and Remington Middle School. The performances took place in April at Blackstone Millville High School. Participating in the Jr. Central District Band were Samantha Bilello, Christopher Botchis, Amirees Estarkhouse, Nipun Goel, Luke Jackson, Aidan Karlowicz, Joel Keller, William Olbrys, Nathan Palmer, Charlene Peng, Tyler Powderly, Kathryn Rudolph, Jacob Tennant, Derek Terwilliger and Rachael Yuan. Performing with the Jr. CD Jazz Band was Ian Richardson. Selected to perform with the Jr. CD Orchestra was Aadit Bhatia, Christopher Broyles, Shreya Choudhury, Chai Harsha, Colin Manocchio, Grace Newton Madison Pavao and Sarayu Vijayanagaram. Singing in the Jr. CD Chorus was Adriana Jordan, Meghan Linkkila and Jack Pokorny.